The Techstars Paris program welcomes startups from all over the world. One of them comes directly from Kenya: Hydrologistics. We interviewed its CEO, Brian Bosire, to know more about their activity and about Brian’s views on the Techstars program. 1.Please share with us a little bit about what your start-up specializes in? Over 50% of water supplied in Africa is lost before reaching the consumer. Water utilities lose up to 45% in revenue due to poor water infrastructure and non-payment of bills. This results in high water tariffs to cover their operation costs, and inconsistent water supply to the consumers. Hydrologistics is a water technology company that is bringing intelligence in access and distribution of water using IoT and Mobile Payments. We have developed HydroIQ, a hardware plugged into existing water distribution networks to monitor consumption and allow consumers to pay for water on a Pay-As-You-Go model using mobile money. 2. What 3 words might best describe the vision behind Hydrologistics? 3. Could you describe your entrepreneur path? Was there a particular moment when you clearly realized what you wanted to do? My entrepreneurship Journey started at 17. I considered myself a creator since childhood and made several electronics systems just for fun, sometimes charging friends to repair their toys. Since then, my goal has always been to solve Africa’s most pressing challenges through an innovative and entrepreneurial approach. Having grown up in rural Kenya, it was a natural thing for me to see numerous challenges that in my eyes presented opportunities to change people’s lives through an innovative approach. In my first year on campus, I founded my first company, Electrosoft Kenya Ltd, a company specializing in designing automation solutions and embedded systems for water, energy and agriculture, which have always remained my focus. The company has since pivoted to become a consumer sanitary ware products brand Sanifent, the first of its kind in Kenya. 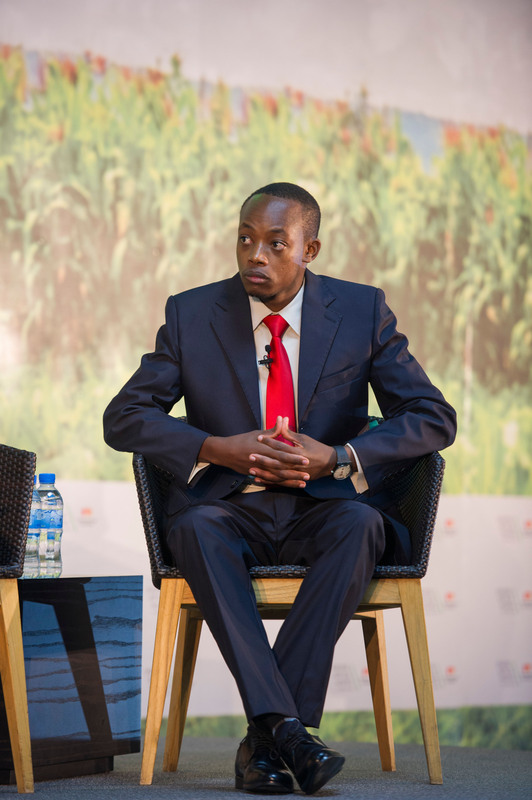 In 2014, I then founded UjuziKilimo – which means “knowledge farming” in Swahili, which is an Agritech company using sensors and data analytics to provide precision insights to farmers. The company is rapidly growing now to a team of 17 serving over 4K farmers across Kenya. I founded Hydrologistics because of my childhood experience with the unreliability of water in Kenya. I grew up believing that water was a luxury but I wanted to make it a basic and affordable commodity for everyone! I believe if we bring value to each drop of water by making the distribution efficient, we can then set the foundation for all other sectors to grow because water is life. 4. What were some of your early struggles and how did you overcome them? The biggest struggle was raising capital. The entrepreneurship ecosystem in Africa is at its early stages. While it presents a huge opportunity for investment, finding an investor who understands the market is difficult. So we had to boot strap all through the early days to make sure the company survived. Amazingly, as hard as that process may be, it pushed us to be more innovative than ever, we learned to be frugal and get the most from the little resources we had. We learned to be decisive even at our lowest points! 5. What do you like most about the Paris Techstars program? The network. Everyone I have met in Techstars is just amazing, and they all stand by the give first motto! The fact that you are exposed to all the mentors, founders & investors who willingly share their experience is so valuable, and often hard to find in any accelerator. 6. What advice might you offer other founders who would like to enter a Techstars program? Techstars is a lifetime experience for any entrepreneur who wants to succeed. The program caters to all the needs of an entrepreneur and more so, a great support system that lasts for life! So come in with the attitude:’ to give first, to learn and to succeed’.